With Thanksgiving and Christmas so close together this year, we had little time to transition between two of our favorite holidays. Over the weekend, we decided to get into the spirit fast with a couple girlfriends from college. As we blasted Christmas music we hung lights and ornaments, arranged a spread of savory appetizers and of course, a wintery cocktail. 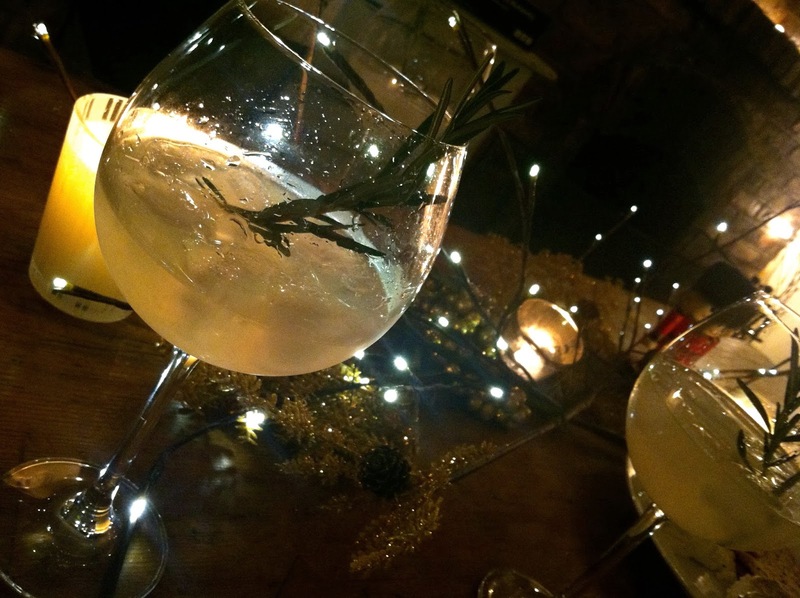 Aromatic rosemary paired with gin and a burst of lemon truly tastes like Christmas. While trimming the tree, we sipped and nibbled while gearing up for Santa’s upcoming arrival. Add the sugar and water to a small saucepan and bring to medium heat. Cook, while stirring, until the sugar dissolves and small bubbles begin to form. Turn off the heat, add the rosemary sprigs, and let steep for 1 hour. Let cool. Fill a shaker with ice. Add the gin, lemon juice and rosemary simple syrup and shake vigorously. 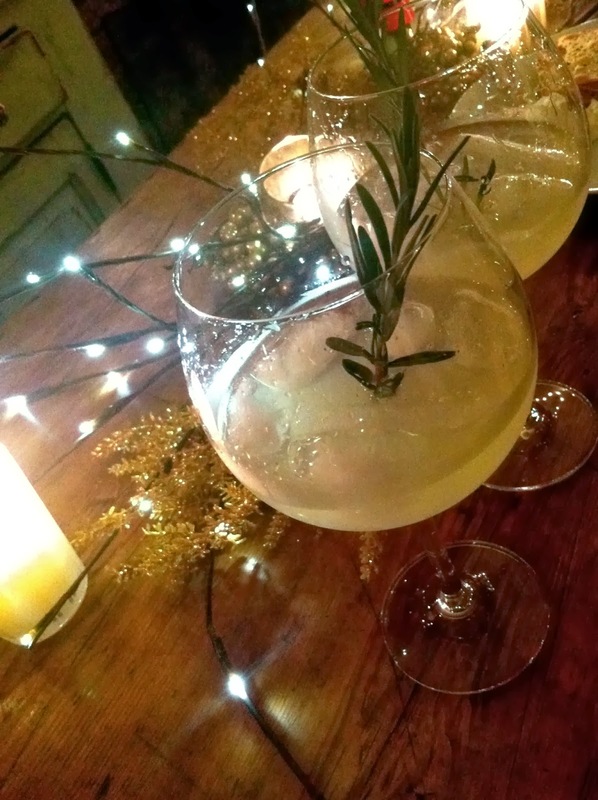 Strain into two glasses filled with ice and a rosemary sprig. Serves 2.